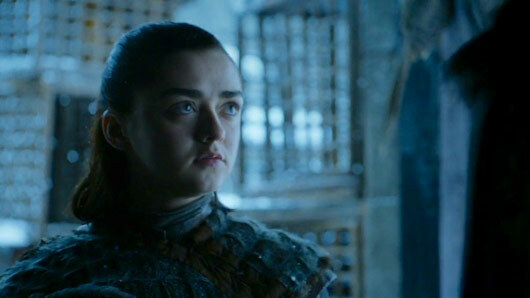 Maisie Williams has admitted that leaving Game of Thrones behind is “nerve-racking”. The Arya Stark actor is currently filming for the final season of the hit HBO series and is now thinking towards her future career. Appearing on today’s Lorraine (Wednesday, January 17), the star discussed life after Game of Thrones and how she is “excited” to shape her career and “do things that I want to do”. However, Maisie confessed the show has been her “safety blanket” for many years, and so approaching the end of the series has definitely been “nerve-racking”. Maisie also talked about how she balanced her acting career with her education. “I juggled it with school for a while,” she said. “But it was such an intensive schedule. “As I went through school and went through my GCSEs my character only got bigger and bigger, so I was home schooled for a while. Maisie continued to talk about how her relationship with boyfriend Ollie Jackson is one of the main things that keeps her grounded. “I strive to try and live as normal a life as possible. I know you can’t always. “People always said to me, ‘your life is gonna change’ and I was like, ‘I don’t really want it to’. Carol Vorderman has opened up about how depression caused by the menopause left her feeling suicidal. The former Countdown star appeared on Lorraine this morning (Wednesday May 10) to talk about her struggles with menopausal depression. Carol revealed she didn’t have the typical menopause symptoms and so assumed she could get over her low period by powering on and working on other projects. However, the presenter soon developed severe depression, which she described as a consuming “blackness”. Carol explained: “This was a blackness where I would wake up and I would feel I don’t see the point in carrying on. There was no reason to feel that way. Nothing else was going wrong. I am a very lucky women. The 56-year-old had not realised the depression was caused by menopause until analysing her electronic calendar. Carol discovered she was particularly low for two weeks of every month, which was in line with her menstrual cycle. 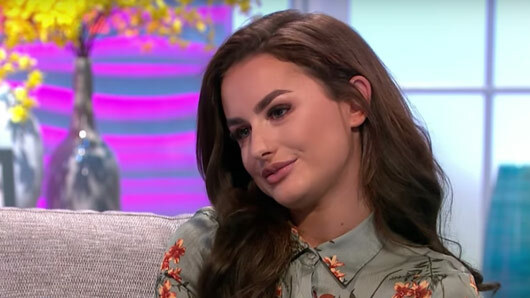 The UK’s first pregnant male has opened up about the shocking abuse he has received in an honest interview on Lorraine. Hayden Cross’ assigned gender was female when he was first born. However, he began transitioning to become the male he identified as at the age of 17. 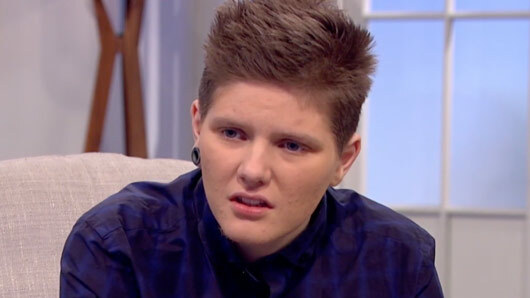 Although Hayden is now legally male, the former Asda worker decided to postpone his transition in order to get pregnant and have a biological child before it was too late. However, the 20-year-old could not have contemplated the backlash he would receive for going ahead with the pregnancy. Hayden confessed to the host how he had received numerous death threats after publicising his decision to birth a child. Hayden also revealed how he was forced to find a sperm donor on Facebook as he was unable to receive help with the NHS. “Basically I found a sperm donor on Facebook. I found someone on there, spoke to them for a few days and went from there. Speaking about his transition, Hayden told Lorraine how he had come to terms with his male identity just three years ago. “I didn’t realise I was trans till I was 17. When I turned 17, I met my group of friends and that’s when I realised. I came out and I’ve been a lot happier since. “I’ve always wanted to be able to have my own family. My mum’s been really supportive. Lorraine continues on weekdays at 8:30am.